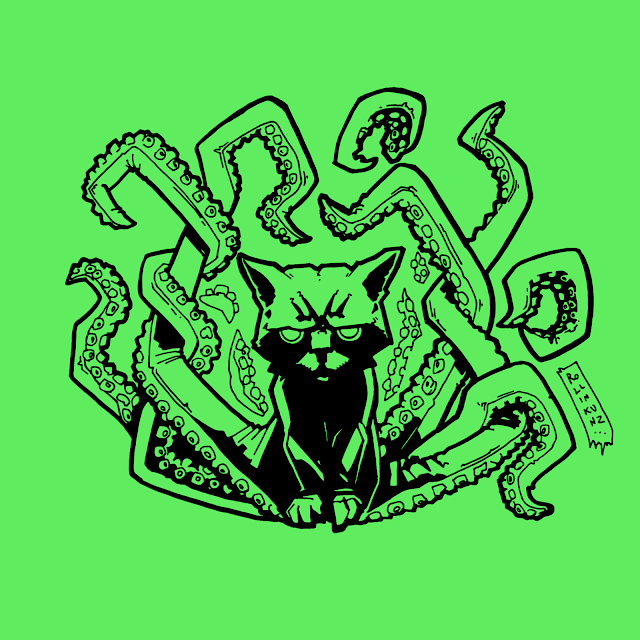 OUTLASTEROIDS Print-and-Play released; Catthulhu rises; Doodle Dungeon returns! It's been a moment since I've posted anything here, as I've been diligently working on various prototypes and art projects. 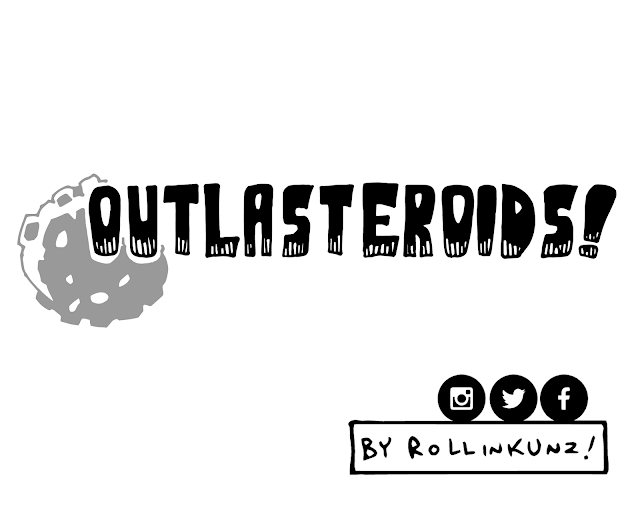 I'm happy to announce the initial release of OUTLASTEROIDS, my print-and-play, roll-and-write space-station-building game! sign up for my email updates to grab a free copy! 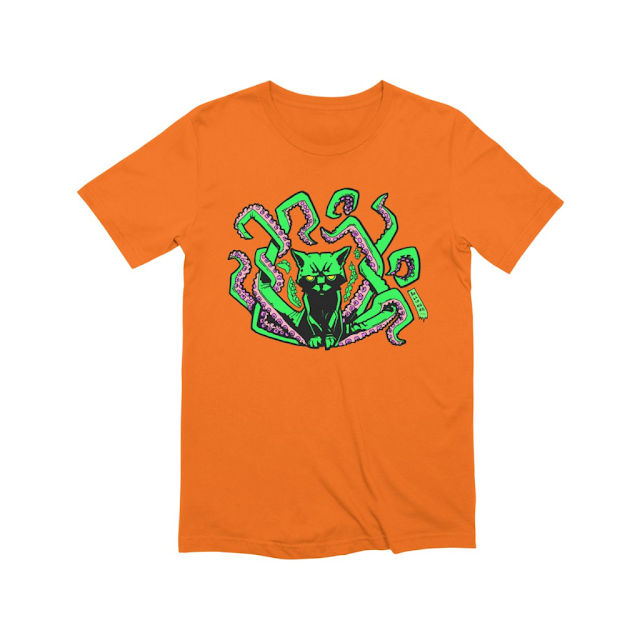 You can put it on your body or mug or baby or whatever you want by buying it here! 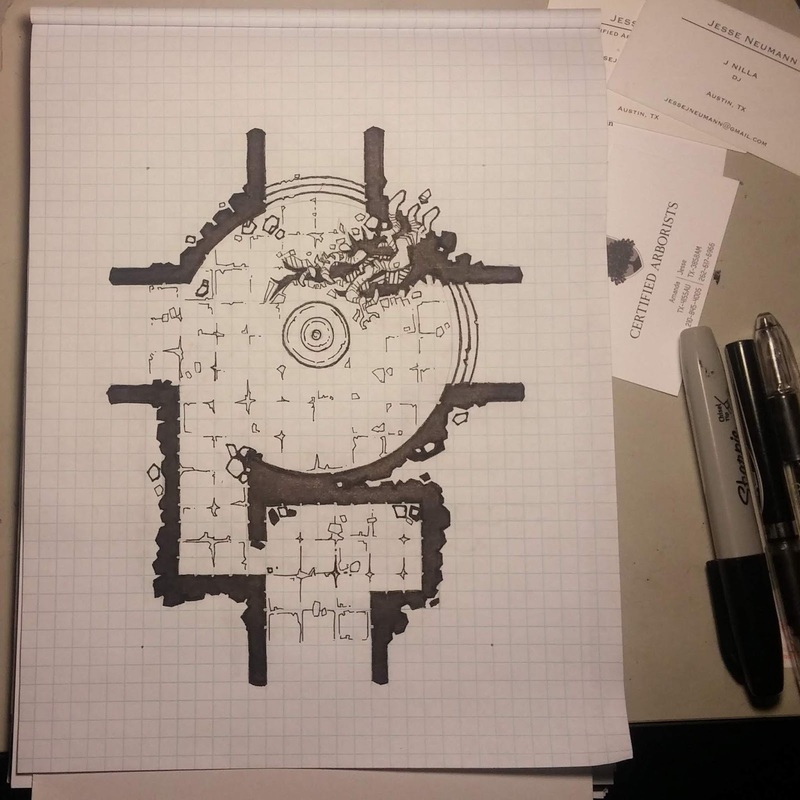 Finally, DOODLE DUNGEON has been resurrected (albeit in a different format). 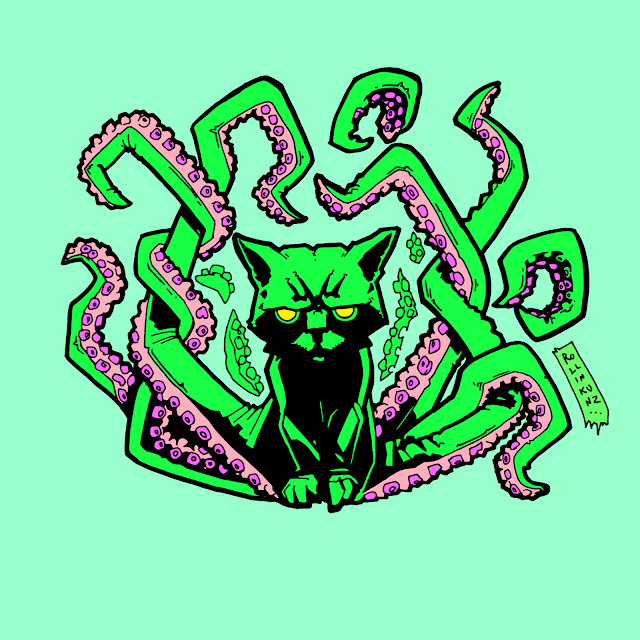 I've been really busy lately working on some tabletop game designs. Hopefully some will come to light soon! You might get an email from my new MailChimp list today or tomorrow - I set one up, finally! I'm switching the RSS subscription thingy over to a mailing list, instead. Mostly because it'll look nicer! I'm planning on deactivating the RSS emails after it's up and running, so just let me know if you don't want that and I'll keep a light on for ya. I also did a soft, shy li'l launch of my Patreon and Ko-Fi pages. You can check those out, too! I'm just trying to get a solid foundation going so that I can focus on makin' games! I'm an illustrator and game designer who loves ink-heavy art and low-brow themes and tabletop microgames and abstracting complex systems and emergent gameplay and dungeons and dragons and Dungeons & Dragons and maps and building and comics and oh, boy! Lots of stuff! You may notice some broken image links down below in my archives. This has something to do with a new image storage/linking method that Facebook/Instagram is using. Instead of worrying about manually fixing all of that, I'm just going to change how I'm using this website. No longer will this be a mashup of all of the interesting social media stuff I spread out over the Internet; instead, this will be a repository of my personal projects. Namely: games! This is a good thing. You'll still see my cool Instagram feed down below, and you can still follow the Twitter games I run over on their respective profiles (or combined on my Tumblr). This is just going to keep my main website streamlined, simple, and focused, so you no longer have to fear following me via email. I'll only update once in a while, and only with particularly cool stuff (like a new game project in development, or a new free game). If you want to see some cool games projects, click on "PROJECTS -> GAMES" in the top menu! The "GALLERY" category (all of my art) probably won't work very well for a moment, so I guess I'll archive a bunch of the latest stuff until it... works again? If ever? You can still see it on Instagram and Facebook and Twitter and such, so no worries there! Thanks for following along, and please feel free to drop me a line on whatever social media you use!